Fog descended on the island, making visibility very poor at times. The 29th was fairly quiet although 79 Barnacle Geese were notable. 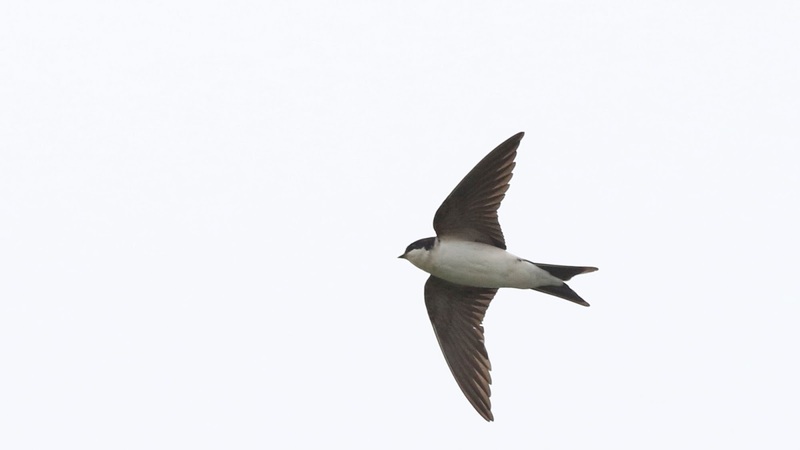 Other migrants included 72 Knot, 2 House Martins, 1 Sand Martin, 1 Lesser Whitethroat, 2 Blackcap and 2 Chiffchaff. 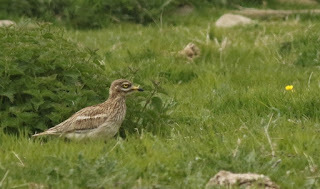 Things picked up on the 30th, with a Stone Curlew found in the fields behind Sangar early afternoon. 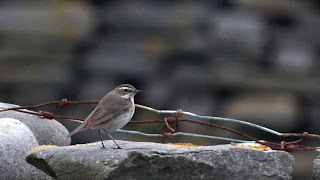 A very rare bird in Scotland and the 2nd record for the island, it showed well and was still present in the evening. 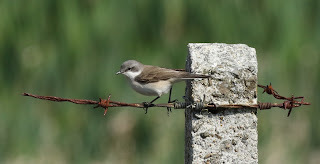 A few other good birds were about, with a female Red-backed Shrike at Ancum Willows, a Black-throated Diver on the sea by Bewan, and a Wood Sandpiper at Brides. Also seen were 23 Barnacle Geese, 8 House Martin, and singles of Tree Pipit, Garden Warbler, Willow Warbler and Chiffchaff. 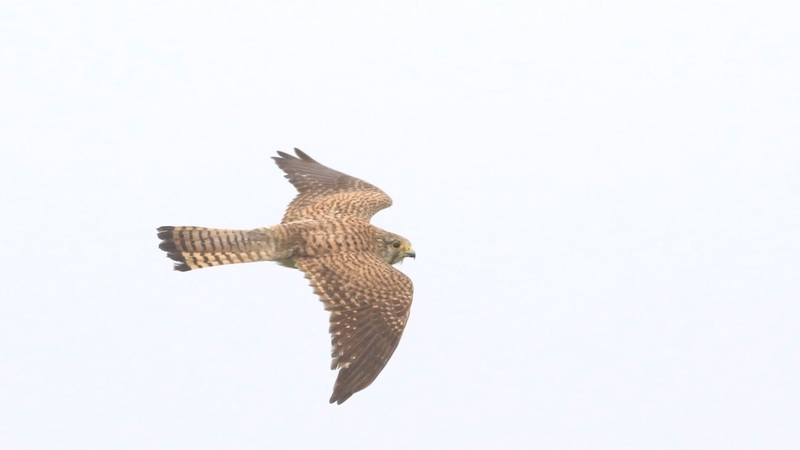 A Sparrowhawk and Kestrel were seen on both days as was the Corncrake at Holland. The weather has been mostly calm with some light south easterly-winds. Wader numbers for most species seemed to drop significantly, although 134 Knot on the 26th was the highest count of the year so far. 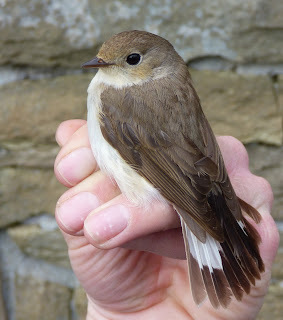 Also seen that day were 2 Greenshank, a Peregrine, 8 Tree Sparrow and a Pied Flycatcher trapped and ringed at the Obs. 2 Black-throated Divers were in Nouster Bay, and were present there the following morning too. 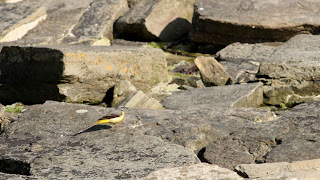 2 Little Terns were on the Links on the 27th, and another Pied Flycatcher, a Siskin and 2 Lesser Redpoll were other birds of note. The highlight however was the first Orca sighting of the year, with at least two seen from Stromness Point. Another first for the year was a female Red-backed Shrike found at Trebb on the 28th. 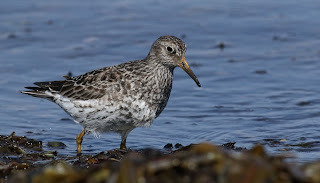 A few minutes later a summer plumage White-billed Diver floated past the seawatch hide. With a Black-throated Diver sighted at the Links later in the afternoon, along with 5 Great Northern and 1 Red-throated, it was the most diver species seen in one day on the island! Also recorded on the 28th was a nice male Ruff at Gretchen, 4 Sandwich Terns, 3 House Martin, 5 Chiffchaff, and singles of Willow Warbler, Blackcap, Spotted Flycatcher, Dunnock and Robin. 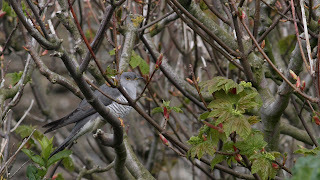 A Sparrowhawk was sighted on all days as was a single Barnacle Goose on Garso, with another 4 at Nether Linnay on the 28th. The Corncrake was still present at Holland, showing quite well at times. The winds didn’t look promising for migration, but there was a nice surprise on the afternoon of the 24th with a Red-breasted Flycatcher trapped and ringed at the Obs, Apart from that though there was hardly anything else about, with 3 Collared Doves, a Chiffchaff and a late Fieldfare the only migrants of note. 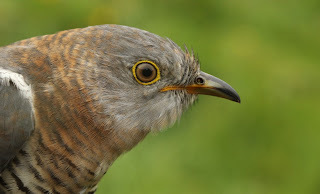 There was more to see on the 25th, with a Cuckoo found calling at Barrenha in the morning, and at Holland later in the day. 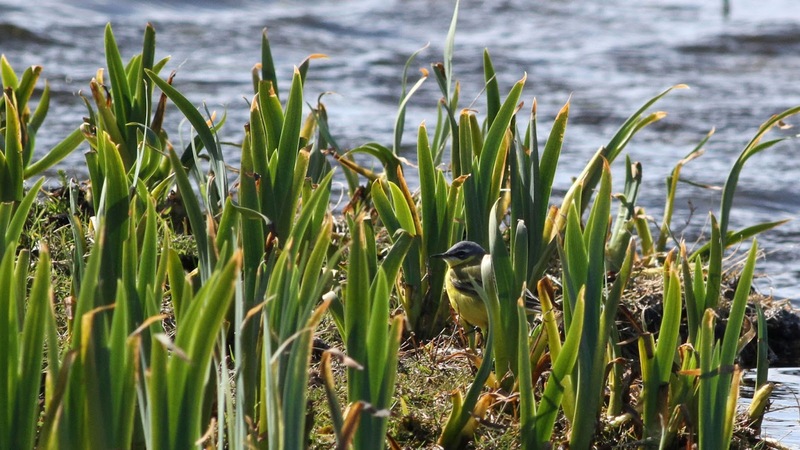 A Grey Wagtail was seen on the beach at Nouster whilst a Black-throated Diver was in the bay. 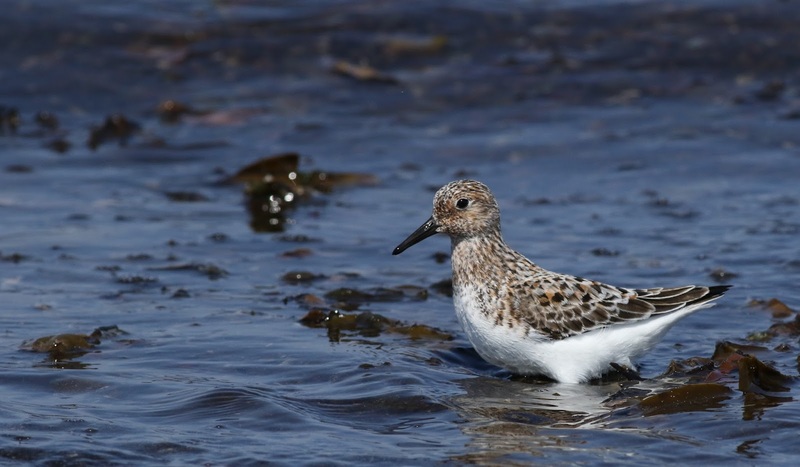 There were plenty of waders and seabirds about, with counts of 228 Sanderling, 69 Dunlin, 28 Knot, 350 Turnstone, 112 Gannet, 155 Great Black-backed Gull, 75 Kittiwake, and 400 Arctic Tern. A Barnacle Goose was at Garso, a Common Tern was seen from Laird's park, and 7 Tree Sparrows were in the fields by Holland. 3 Willow Warblers and 3 Chiffchaff were also present. The Corncrake was still at Holland on both dates. The weather went calm and sunny and it felt far more like summer was approaching than it did last week. On the morning of the 22nd an Osprey, presumably the one from the day before, flew past the Obs and headed out to sea, not to be seen again. The first 2 Tree Sparrows of the year were trapped and ringed at Holland, and later in the evening a flock of 14 were found amongst House Sparrows. 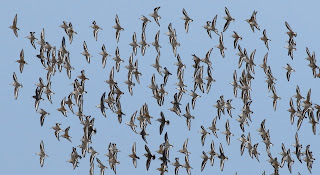 3 Garganey flying overhead were also seen from Holland. 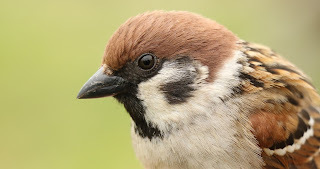 Other birds sighted included a Ruff at Cauldhame flash, 2 Kestrel, 5 Woodpigeon, 3 Collared Doves, 1 Dunnock, 1 Robin, 9 Sedge Warblers, 1 Blackcap, 1 Lesser Whitethroat, 2 Chiffchaff, 1 Spotted Flycatcher and a Lesser Redpoll. 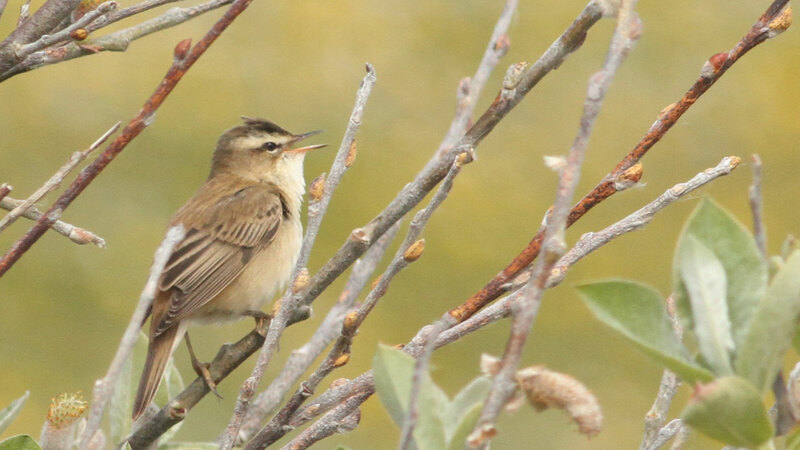 The 23rd was a much quieter day with the only birds of note 11 Sedge Warbler, 1 Lesser Whitethroat, 1 Garden Warbler and 4 Chiffchaff. 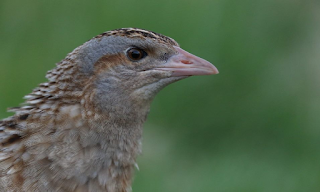 The Corncrake was present at Holland again on both days, calling with increasing frequency and volume. A good couple of days with some nice birds about. 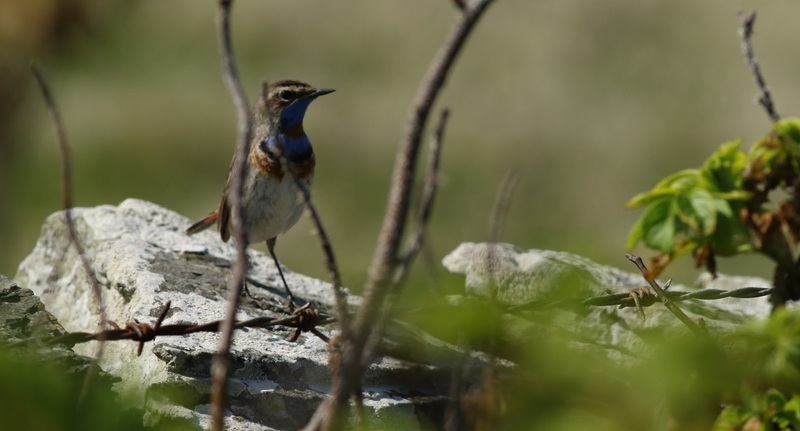 On the 20th a female Bluethroat was found at Quoybanks along with a Grey Wagtail at the Foghorn. 2 Glaucous Gulls were sighted amongst a gull flock on Sjaiver and 3 Little Terns were seen, 2 at the Links and a single on Gretchen. Around midnight at the Obs a Common Crane was heard calling as it flew overhead. On the 21st the first Cuckoo of the year found its way into one of the mist nets at Holland, the 11th ever ringed on the island. An Osprey seen at Ancum in the evening was another first as was a Common Tern sighted from Holland. 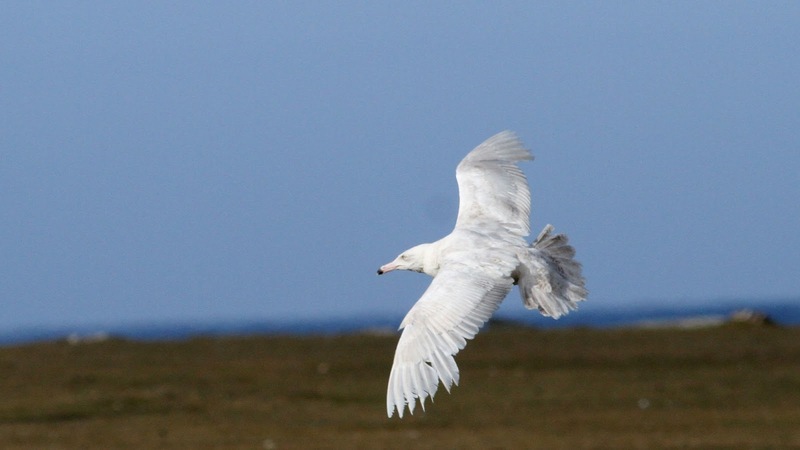 3 Little Terns were at the Links and a single Glaucous Gull was at Bewan. 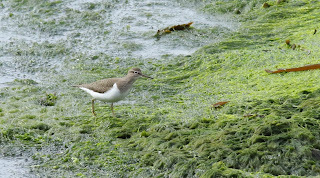 A Common Sandpiper was at Gue Geo and a drake Garganey at Cauldhame flash. Also present on the 21st were a Kestrel, 2 Short-eared Owls, 5 Collared Doves, 4 House Martin (one of which was trapped and ringed) 4 Chiffchaff, 1 Common Whitethroat, and 2 Lesser Redpoll. 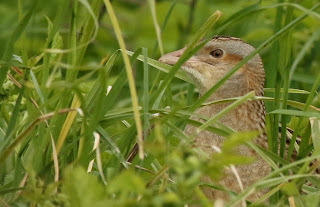 The Corncrake was still calling at Holland both days. 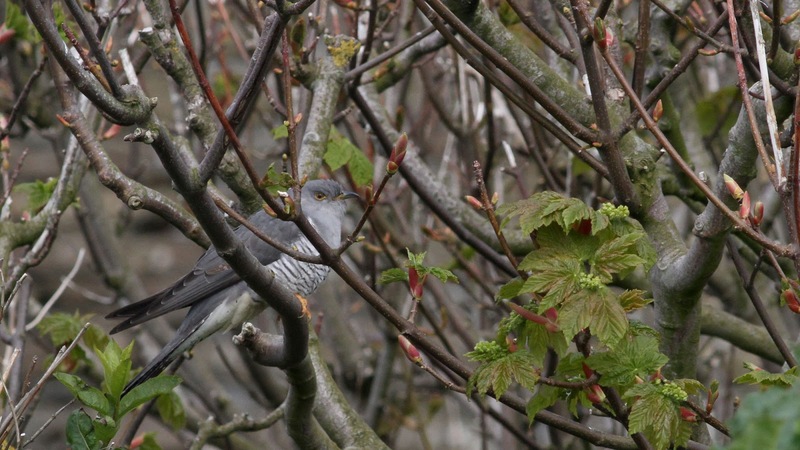 Freezing winds and wintery showers made census unpleasant, but thankfully there was some good birds about. 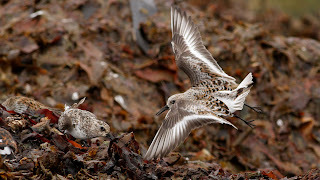 There were a couple of firsts for the year on the 17th, with a nice adult Little Gull on Gretchen and 5 Manx Shearwaters seen during a seawatch on the north coast. 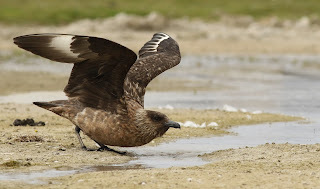 Another seawatch at the same place the following day was very successful, with a White-billed Diver showing briefly on choppy seas. 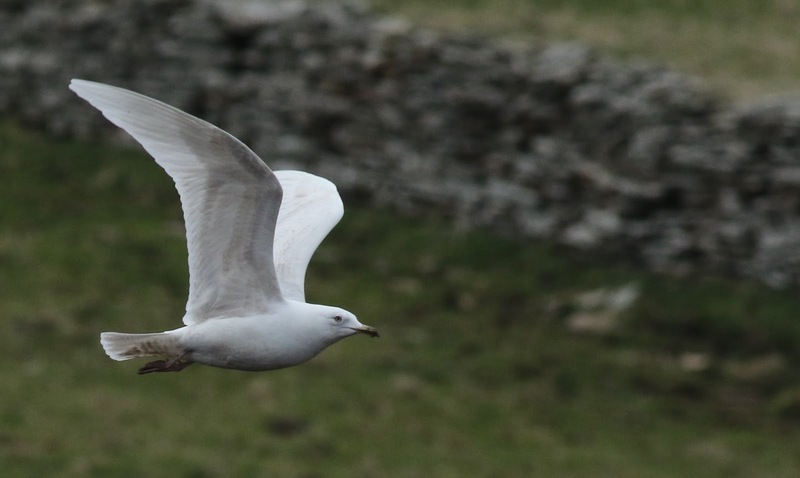 Also found on the 18th was an Iceland Gull at Nether Linnay, along with 14 Lesser Black-backed Gulls. 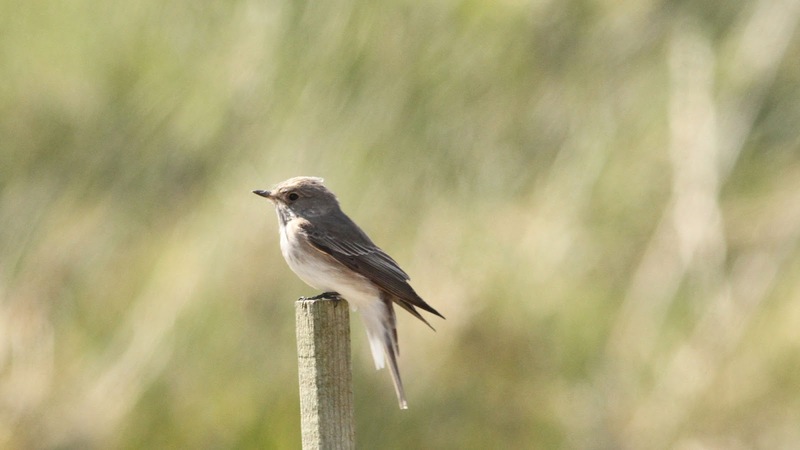 A Wood Warbler was at Bewan, and 3 Chiffchaff, 2 Tree Pipits and a Spotted Flycatcher were sighted too. Wader numbers continue to rise, with 474 Turnstone, 141 Purple Sandpipers and 140 Dunlin counted on the 19th. Seawatching that day also provided high counts, with 254 Guillemot and 184 Puffins, along with 2 Common Scoters and 5 Manx Shearwaters. 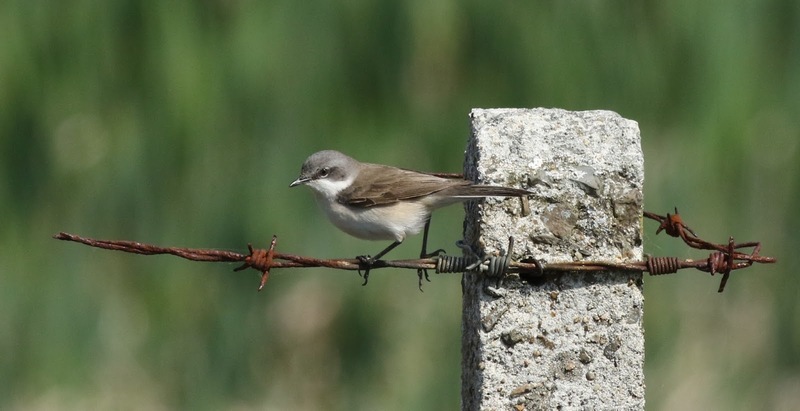 Migrants included 3 Chiffchaffs and singles of Collared Dove, Common Whitethroat, Blackcap, Spotted Flycatcher, Common Redstart and Lesser Redpoll. 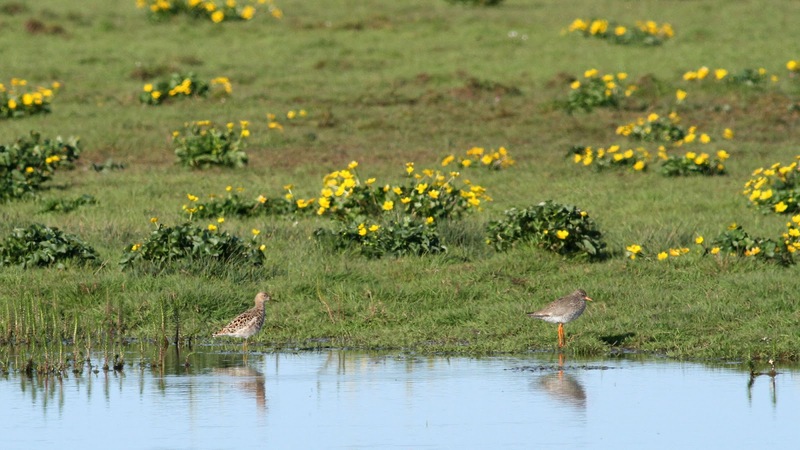 On all days the Corncrake was heard calling at Holland. Numbers went down considerably, with a Black Redstart and Common Whitethroat the only birds of note on the 12th. A pair of Little Terns on Nouster on the 13th were new for the year. 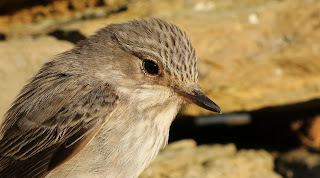 On the 14th the first Greenshank was sighted at Hooking, other migrants included 2 Tree Pipits, 5 Chiffchaff, a Willow Warbler, Spotted Flycatcher and a late Redwing. 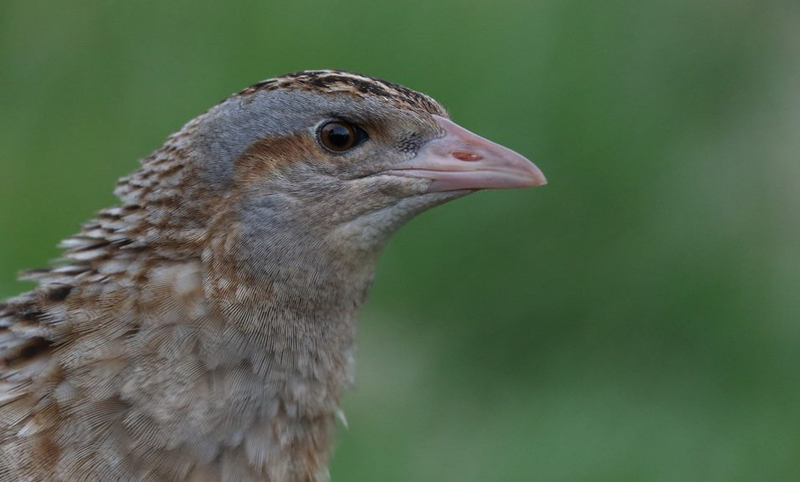 The Corncrake found in Holland on the 11th was heard calling there every day since, and on the 15th it was trapped and ringed, only the 2nd ever for the Observatory. 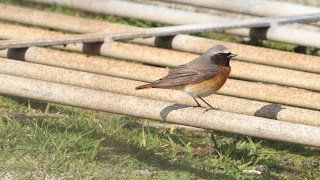 Also on the 15th was a male and female Common Redstart and a Common Sandpiper. 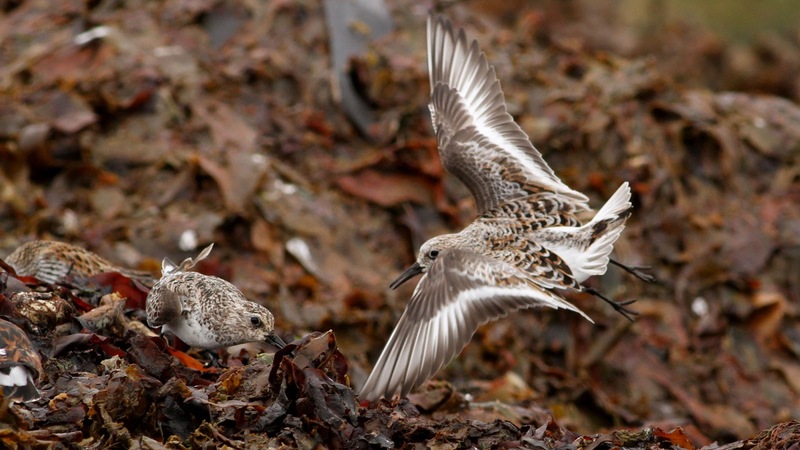 181 Ringed Plover and 238 Sanderling were high counts on the 16th. 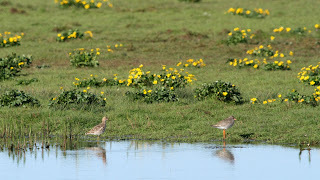 Also seen that day were Garganey and Collared Dove. Things quietened down a bit on the 10th, but there was still plenty about. A Bluethroat, presumably the same bird from the day before, was seen at Veracott. 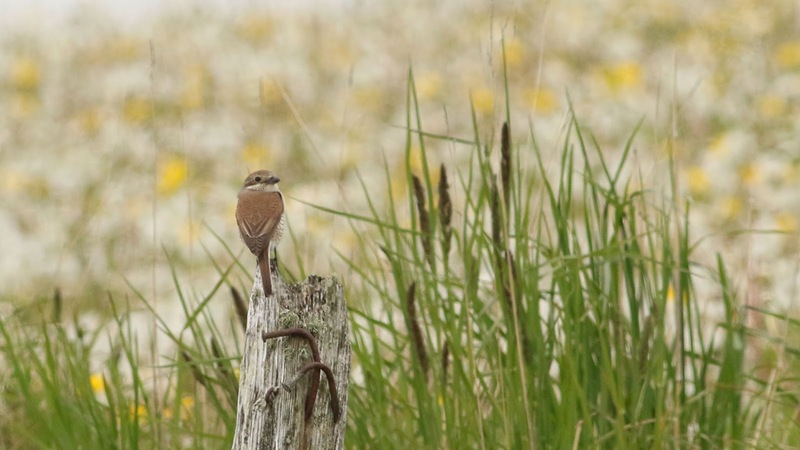 A male Stonechat was at Garso as was the pair of Garganey. 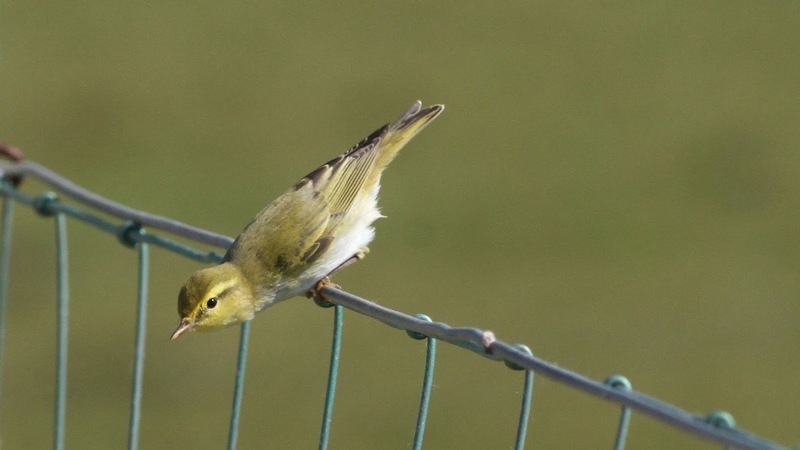 A Wood Warbler was found at the Obs and was later trapped and ringed. Other migrants included 5 Common Whitethroat, 3 Lesser Whitethroat, and singles of Blackcap, Garden Warbler, Chiffchaff, Willow Warbler, Spotted Flycatcher and Common Redpoll. 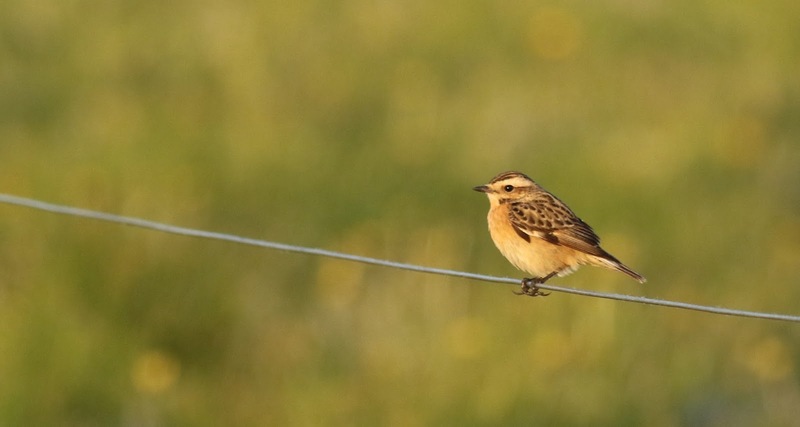 The highlight of the 11th was a Corncrake heard calling in Holland. 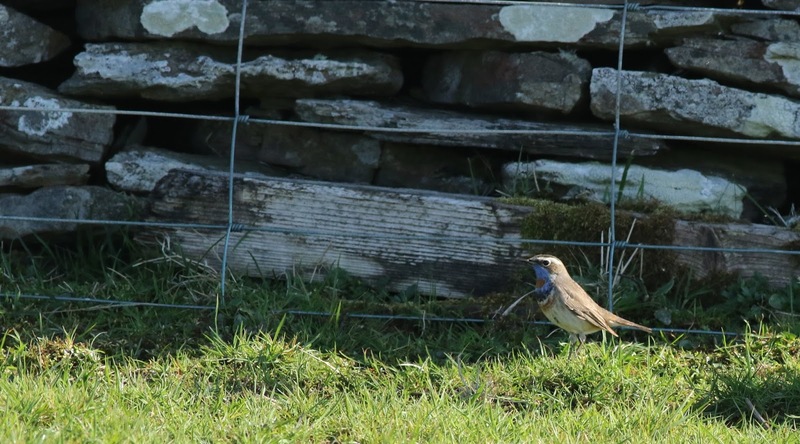 The first Grasshopper Warbler of the year was at Greenwall and the first Whinchat at Bewan. 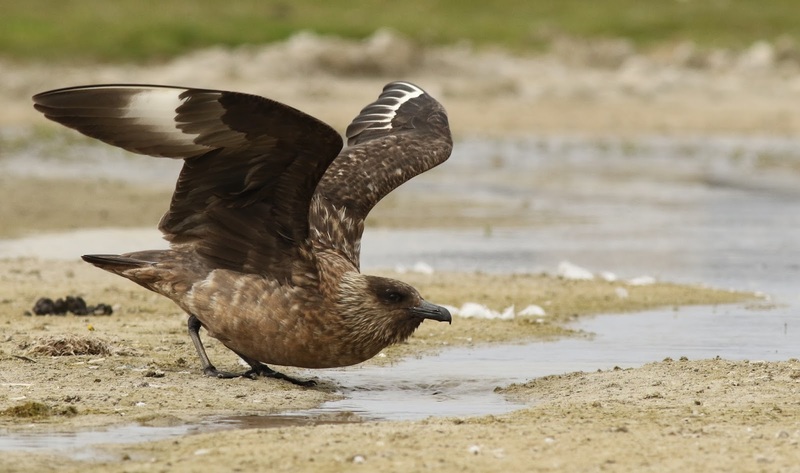 A Pomarine Skua was seen during a seawatch at Southness along with 150 Gannets. Another Wood Warbler was trapped and ringed at Holland along with 7 Siskin. 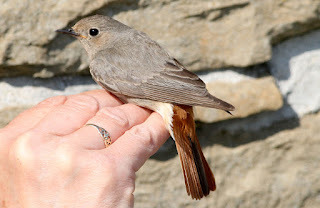 Also added to the ringing totals was a Black Redstart that wandered into the conservatory at the Obs! 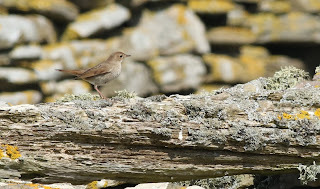 A great day, with the highlight being a skulking Thrush Nightingale found at Trolla Vatn mid-morning. 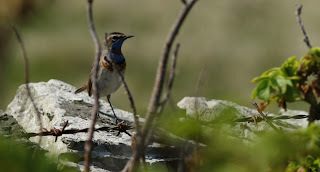 A male Bluethroat was at Nether Linnay, as was a Wood Sandpiper, both firsts for the year. 4 Spotted Flycatchers, 2 Sedge Warblers, and singles of Pied Flycatcher and Common Redstart were also firsts. 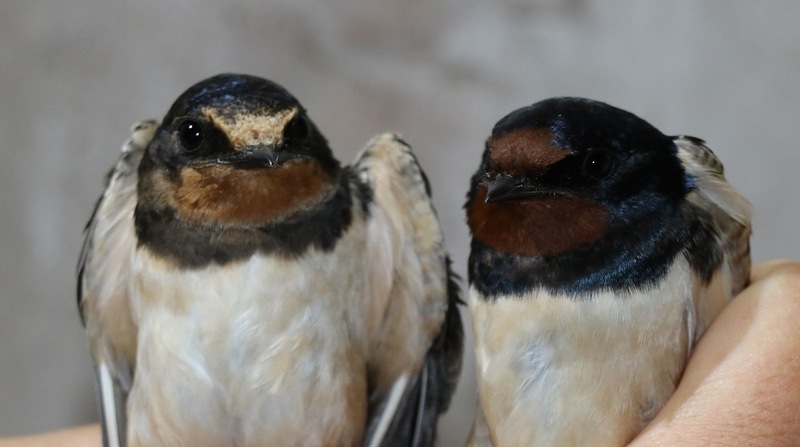 Other passerine migrants included 55 Swallow, 8 House Martin, 1 Sand Martin, 1 Robin, 4 Common Whitethroat, 3 Lesser Whitethroat, 2 Blackcap, 2 Garden Warbler, 16 Chiffchaff, 4 Willow Warbler, 3 Siskin, 2 Chaffinch and 1 Lesser Redpoll. 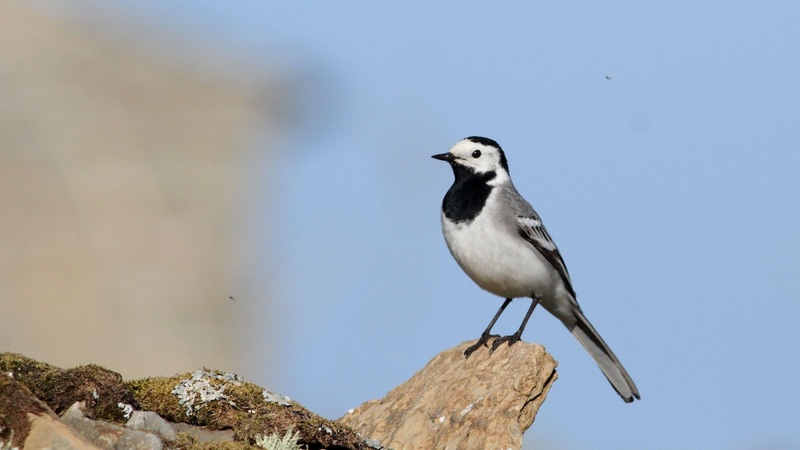 Wader numbers were good, with 373 Turnstone, 230 Purple Sandpiper and 26 Knot the highest counts of the year, as was the count for Arctic Terns with 647 recorded. 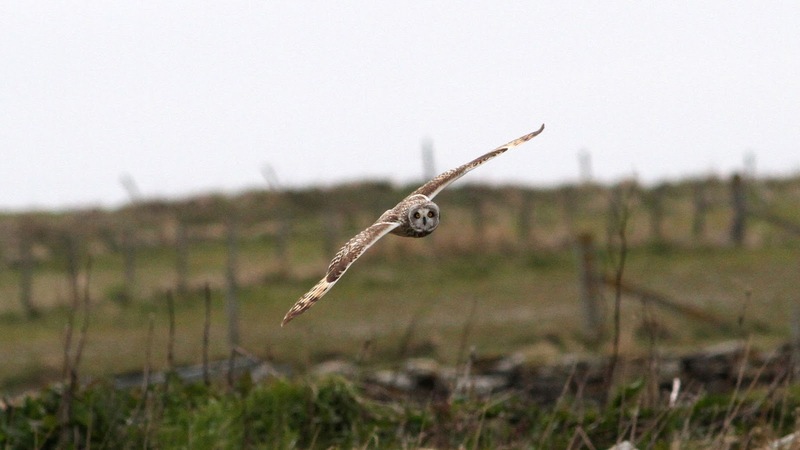 Also seen were Kestrel and Short-eared Owl, and a pair of Garganey on Garso. 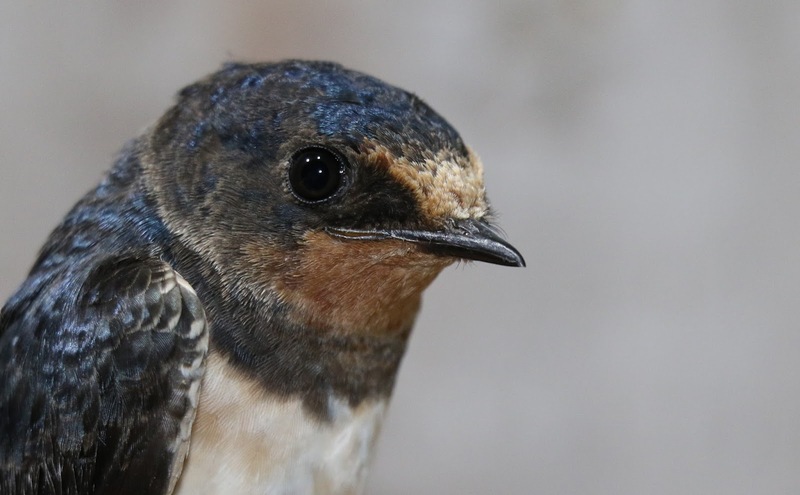 A juvenile Swallow born this year was amongst 8 caught at Holland in the evening. As no Swallows will have fledged yet in the UK this bird was likely born in the Mediterranean (where Swallows can start to nest in February) and has migrated north with breeding adults. 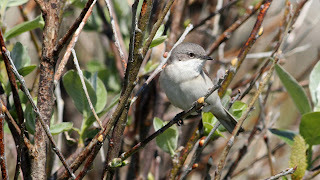 Poor winds for migration resulted in a quiet couple of days with few birds about. 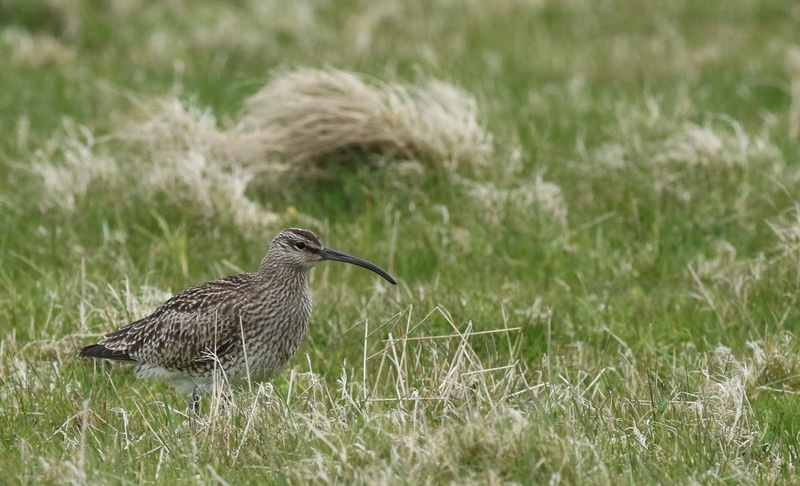 8 Whimbrel, 3 Chiffchaff and a Willow Warbler were the only birds of note on the 6th. 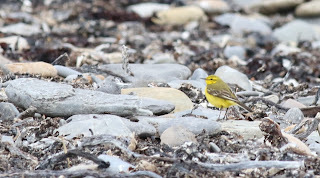 On the 7th a flavissima Yellow Wagtail was seen at Brides, a subspecies rare here with flava and thunbergi much more regular. The winds turned south-easterly on the 8th and brought in more birds including some firsts for the year, Garden Warbler, Lesser Whitethroat, Common Whitethroat and Jackdaw. 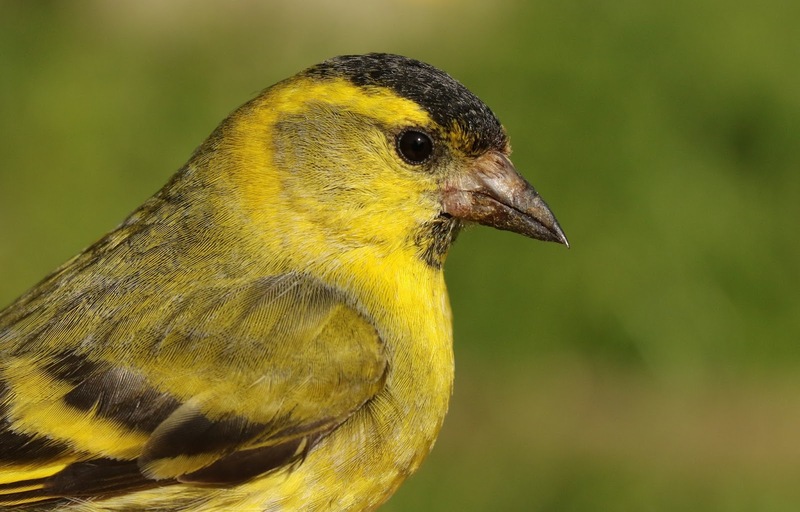 Also seen were 6 Chiffchaff, 1 Willow Warbler, 2 Blackcaps, 2 House Martins, 2 Siskin and a Sparrowhawk and Short-eared Owl. 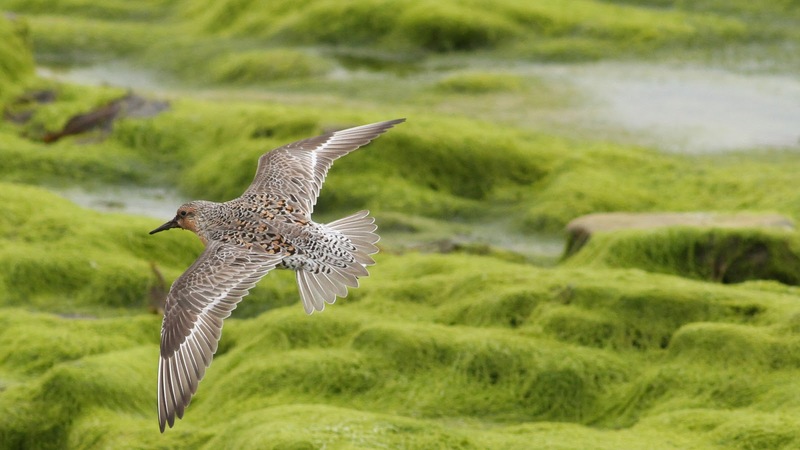 The southerly winds continued, which brought in some good numbers of birds. The 4th was relatively quiet, Arctic Terns rose to 202, and migrants included 5 Chiffchaff, 2 Robin and 1 Willow Warbler. 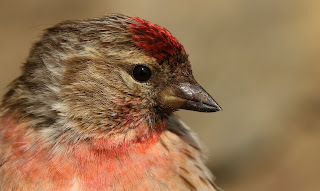 The 5th was a better day, with the first 2 Lesser Redpolls and the first Swift of the year recorded. Also seen were 26 Carrion Crow, 5 Woodpigeon, 55 Swallow, 4 House Martin, 4 Sand Martin, 26 Wheatears (including 2 Greenland) 3 Chiffchaff, 2 Robin, 2 Siskin, and singles of Tree Pipit and Goldfinch. 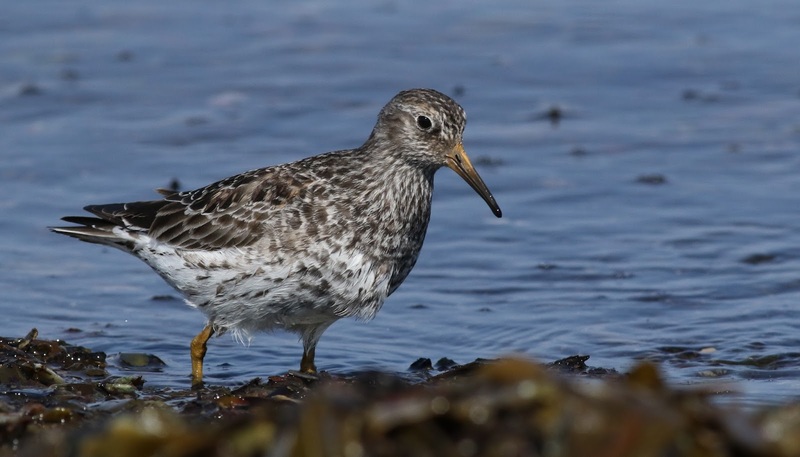 Wader flocks have been gradually increasing with good numbers on the 5th, 430 Turnstones, 217 Sanderling and 113 Purple Sandpipers were counted, although Whimbrel numbers were down to 4. 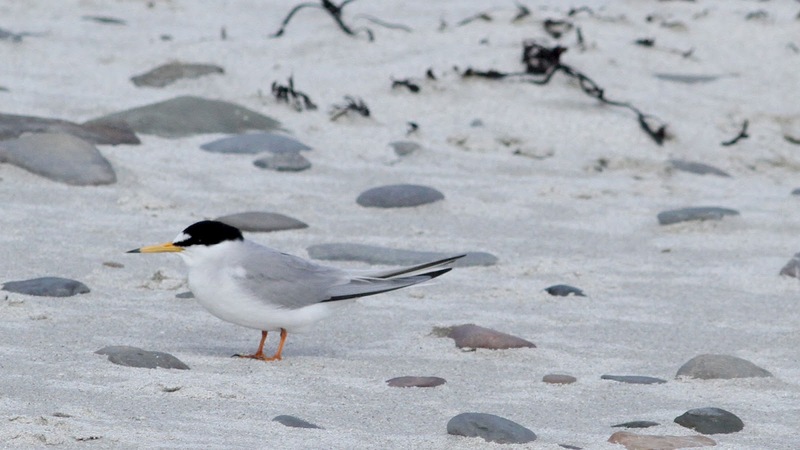 Arctic Terns kept streaming in with 390 seen, and 67 Kittiwakes were sighted passing by offshore. On both days Peregrine and Merlin were present, as were a pair of Garganey on Garso and 3 Barnacle Geese in fields near Hooking. 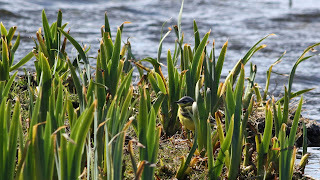 The last few days of April passed by with nothing of note at all, the persistent northerlies halting any migration. 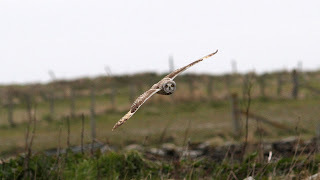 However, the winds turned southerly on the first day of May which brought in the first Arctic Tern of the year, along with 7 Whimbrel and a Short-eared Owl. The 2nd saw one of the highlights of the spring so far, a Rough-legged Buzzard that briefly showed well above Senness in the afternoon. 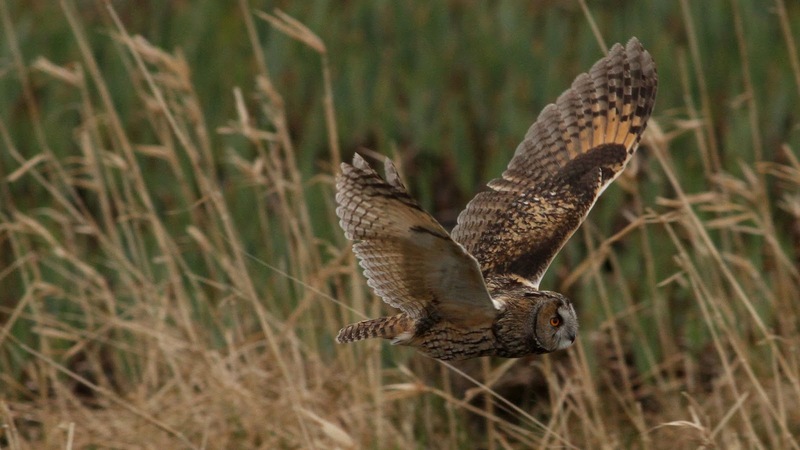 A Long-eared Owl was at Ancum Willows and 13 Knot were at Westness. Whimbrel numbers rose to 20 and Arctic Terns to 55. 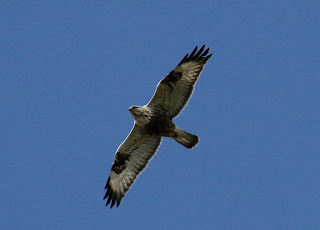 On the 3rd the Buzzard made another quick appearance over Garso before disappearing south not to be seen again since. 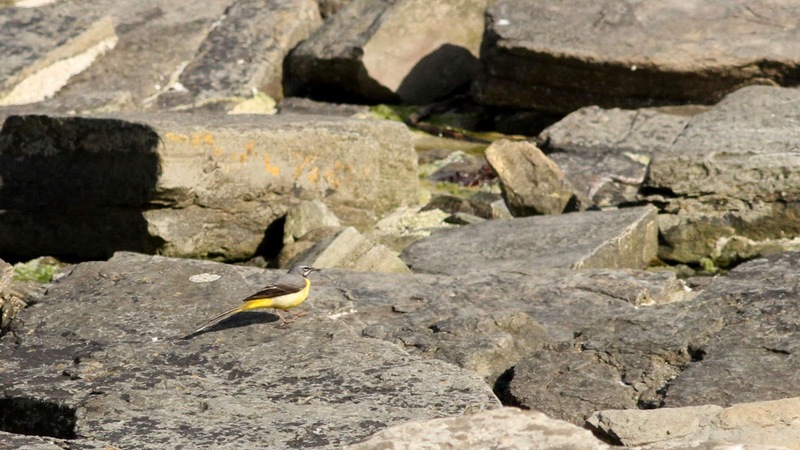 2 Blue-headed Wagtails were found, one on the Links and the other at Hooking. A Short-eared Owl, 9 Swallows, 6 Woodpigeon, 2 Chiffchaff and singles of Blackcap, Brambling and Siskin were also sighted.